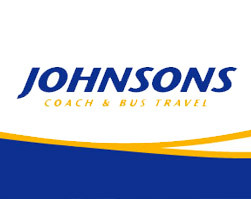 Johnsons Coaches has been trading since 1909 as an independent, family business providing coach hire, holidays & excursions and local bus service across the UK, Europe and beyond. The organisation presently has its own training school and is a registered CPC centre due to the nature of the business, thus they have a keen understanding of the usefulness of training and in particular management training. 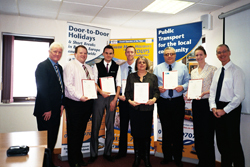 A number of managers from Johnsons receiving their ILM Level 3 Management Diplomas from BDM Director, Ian White. Over the last few years Johnsons and BDM have had a very close relationship due to the culture of the business and receptiveness to the values of management training. BDM has trained almost 30 Johnsons’ employees from director all the way down in a variety of areas such as Social Media, Sales, Leadership and Management. Regarding a Lean Management course undertaken, Training Development Manager at Johnsons Coaches, Anthony Wallace said "The training has given me the skills and reflection to look at issues I deal with and the impact my performance has on the overall performance of the business. I have as a result also reviewed some procedures and the structures we use and how I can make them more effective.